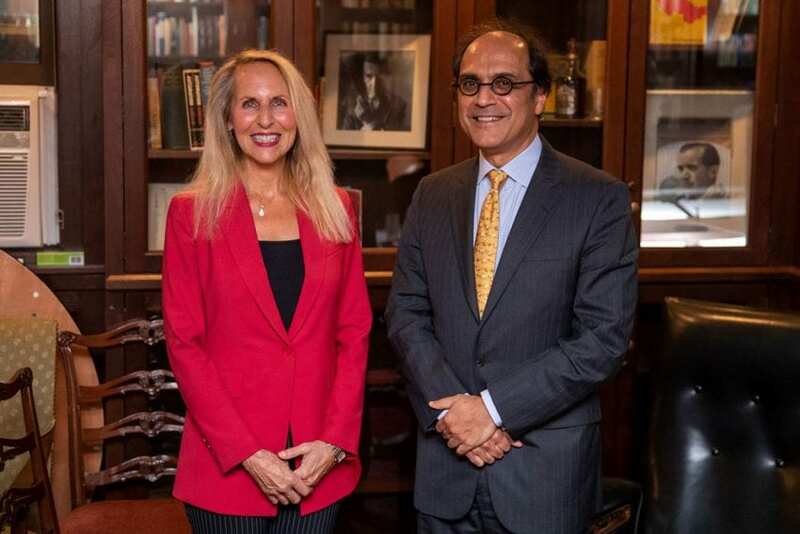 Home / News / Fall Speaker Series 2018 with Carol Meyrowitz, Executive Chairman of the Board, TJX Companies, Inc.
Fall Speaker Series 2018 with Carol Meyrowitz, Executive Chairman of the Board, TJX Companies, Inc.
On October 16, 2018, the Tufts Financial Network and the Institute for Business in the Global Context hosted Carol Meyrowitz, Executive Chairman of the Board, TJX Companies, Inc. for a fireside chat at Tufts on the Medford/Somerville Campus. Alumni and students gathered in ASEAN Auditorium for the talk titled “Growing a Global Business in an Ever-Changing World: The CEO Perspective.” Bhaskar Chakravorti, Dean of Global Business at the Fletcher School and the founding Executive Director of the Institute for Business in the Global Context, facilitated the discussion. Recognized as one of Forbes Magazine Top 100 most powerful women in business and with extensive experience in retail that spans more three decades, Meyrowitz has served as CEO of TJX since 2007. During her tenure, total sales have grown by more than $13 billion, income from continuing operations increased more than three-fold, to $2.7 billion in 2015, and the dividend increased every year. Further, market capitalization more than tripled to more than $48 billion (as of January 2016). In addition, TJX added more than 1,100 total stores and tens of thousands of associates worldwide, and the company entered five new countries. 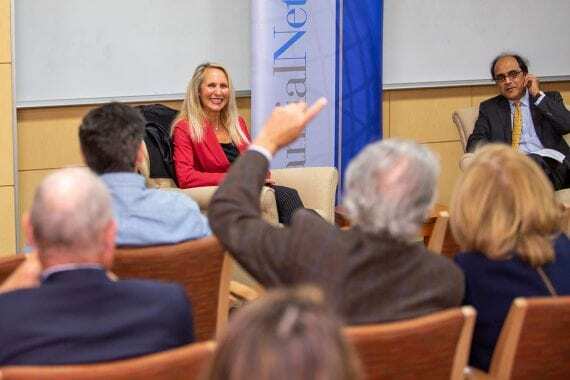 During the program, Meyrowitz highlighted her perspectives on building a workplace culture that values collaboration among team members, adding that those who are successful work well together. Investing in staff is also important and TJX trains them in every aspect of the business, from retail to finance to personnel. Recognizing the culture of each sales market has also been integral to the organization’s success under her leadership, especially as TJX manages more than 4,000 stores in nine countries on three continents. Following the discussion, Meyrowitz took questions from the audience. She covered topics ranging from the importance of loving what you do, to what it is like to be a woman in leadership, to why she believes in hiring your successor. The event concluded with a reception where she spent time meeting with alumni, students, and staff.